Suffolk House Antiques | A good William and Mary oak gateleg table. 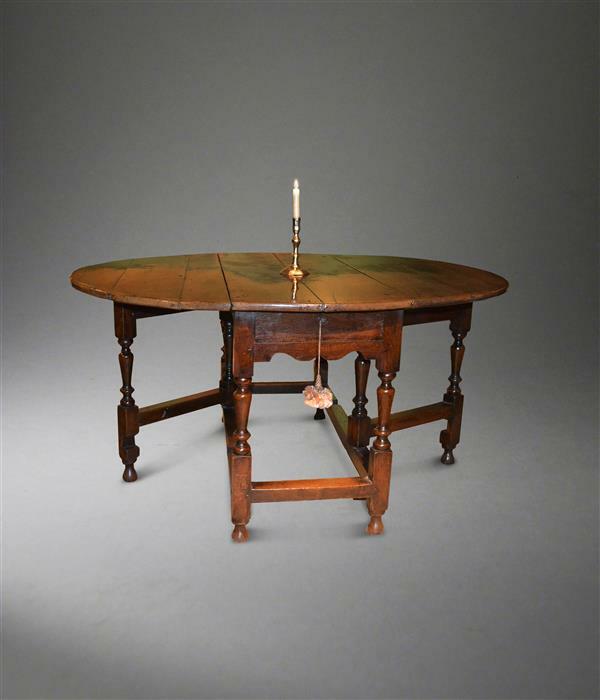 A GOOD WILLIAM AND MARY OAK GATELEG TABLE. This William and Mary oak six seater gateleg table has a lovely faded top, one drawer and attractive reverse baluster turned legs. Excellent colour and patination throughout and well priced at £1650 delivered within the UK. It measures 58 1/2 inches 51 1/2 inches extended x 29 inches high.